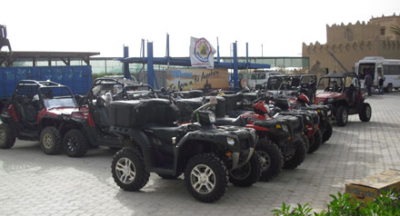 We are dedicated to the transport of quads, ATV or side by side, in organized trips of clients or friends. We offer the possibility of enjoying trips throughout the Iberian Peninsula, North Africa and Europe. 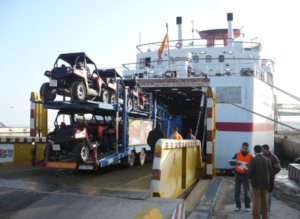 We have vehicles specialized in the transport of these quads, with a capacity of 28 vehicles in only one truck and the possibility of bringing an assistance car in the adventures. All this carried out by a highly qualified personnel to perform these expeditions. We are a company committed to the development of these countries and therefore we always carry, in each of our trips, all the humanitarian aid that is possible. 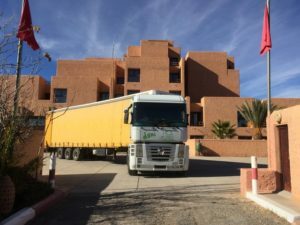 Apart, we make trips only for this cause, with organizations such as IAE (Intervention, Help and Emergency) of Valencia, and the foundation « The School of the Desert », which we collaborate with by supplying material. We perform these trips through ATA carnet. We have all cargo insurance for this type of material and vehicles so that the customer does not have any problem at the time of transport. We provide all the documentation management for the departure of the trip.